Following their best show of the year, Evolve returned with the second half of a weekend double shot. Like the night before, the Evolve and WWN Championships were on the line. Catch Point came out and Tracy Williams congratulated Garrini. Stokely said Garrini isn’t marketable and called Catch Point the only stars around. They made Garrini leave, but a fan stole the show by shouting that Stokely was a midget Charles Barkley. Of course, that led to a “Charles Barkley” chant. Jason Kincaid and Austin Theory interrupted, looking for a Tag Team Title shot. Stokely agreed, but wanted more money from Evolve. Post-match, Keith Lee asked the fans which title he should go after, since he now has a shot at the WWN or Evolve, whichever he chooses. They seem to say the Evolve Title, but he tells them to continue telling him on Twitter tonight. Keith Lee came out after the match to challenge Zack Sabre Jr. However, Matt Riddle arrived to say his title was superior. That led to Riddle and Sabre having a staredown. Catch Point also came out, before Ethan Page snuck in to hit Lee with a low blow. He took out Sabre with Spinning Dwayne, while Catch Point attacked Riddle. Jason Kincaid saved Riddle from a Hathaway slap and everyone fought outside. Lee got up, alone in the ring, and busted out a tope con hilo! He slid Tracy Williams into a Bro to Sleep. Riddle and Lee agreed on a title match and shook hands. Hot ending to the show. Overall: 7/10. 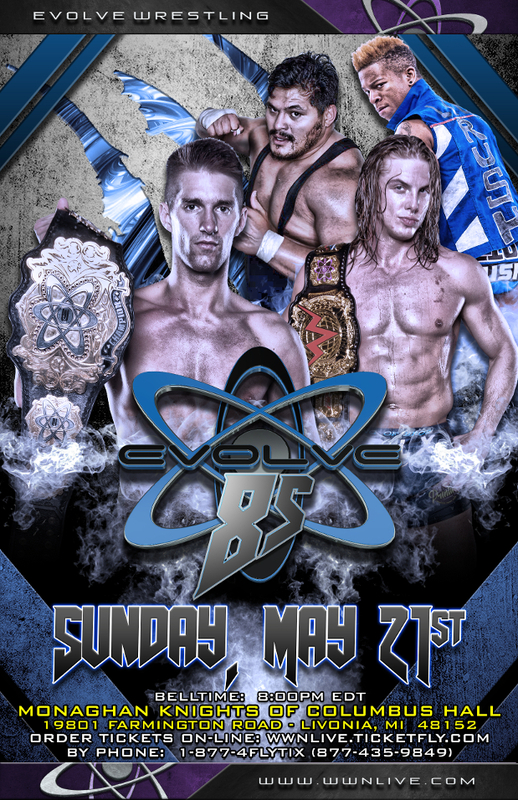 A good show from Evolve, but not up to the high standard of Evolve 84. The two main events certainly delivered and did so in different ways. One was an energetic sprint and the other was a great underdog battle. My only gripe with the show was that some of the matches went and felt too long. With shorter matches for Yehi/Lee and Tracy/O’Reilly, this could’ve been nearly as good as Evolve 84.